Latex Zebra is a name that its hard to ignore - and we were very gald we didn't when Eclipse landed. Packed full of hooky top line action and with a delicious punch on the bottom end, Latex Zebra also delivers an infectious topline that stays away from the more obvious trance lead sounds to deliver a slice of originality that still keeps one eye firmly on the dance floor. 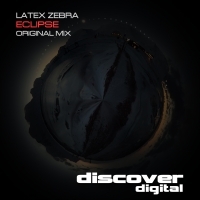 A great label debut from Latex Zebra - definitely one to watch on this form!!!! 'Eclipse' is available now from Beatport and iTunes.